19. 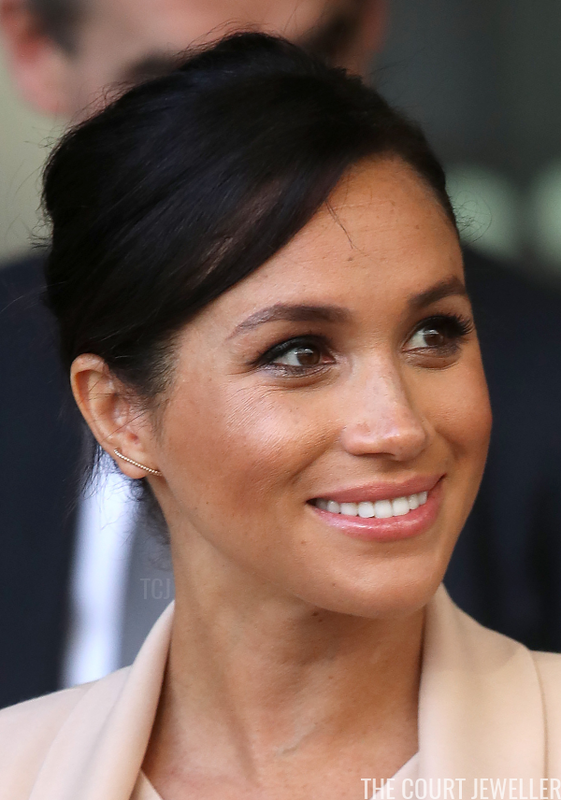 For a visit to the Association of Commonwealth Universities in London on Thursday, Meghan chose her stud earrings from Dean Davidson. 18. 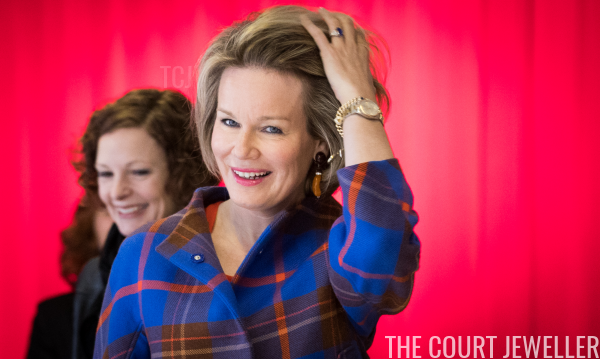 On Thursday, Queen Mathilde of the Belgians wore statement earrings for a visit to a school in Esneux to discuss bullying. 16. 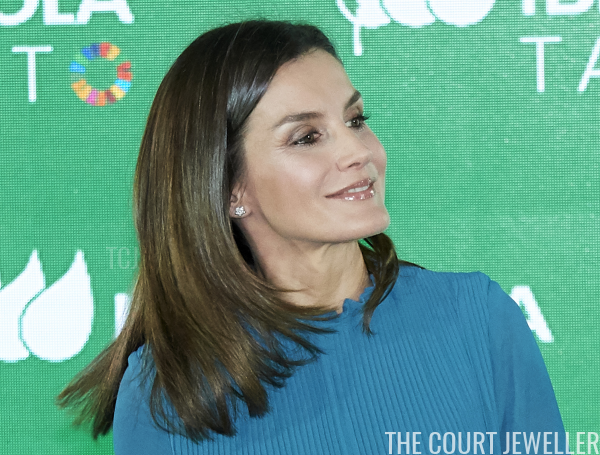 Diamond star stud earrings from Chanel accompanied Queen Letizia of Spain to the Ibedrola Foundation Scholarships in Madrid on Thursday. 15. 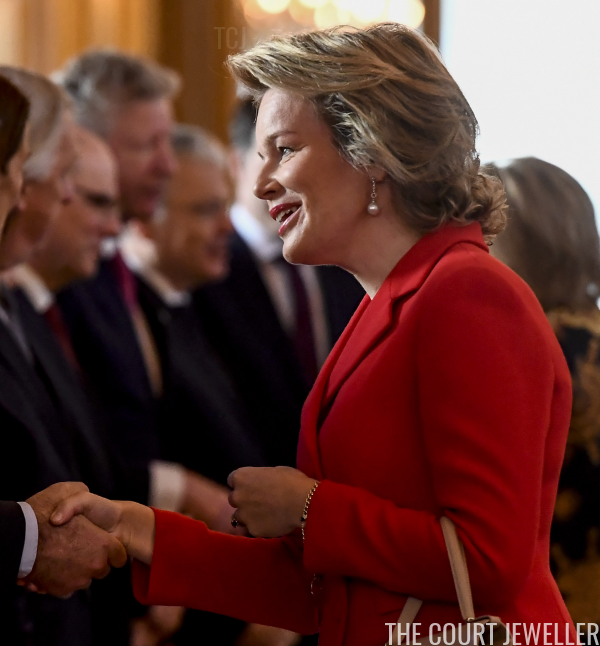 Queen Maxima of the Netherlands wore dramatic tassel earrings on Tuesday for a visit to the AFAS Software company in Leusden. 14. 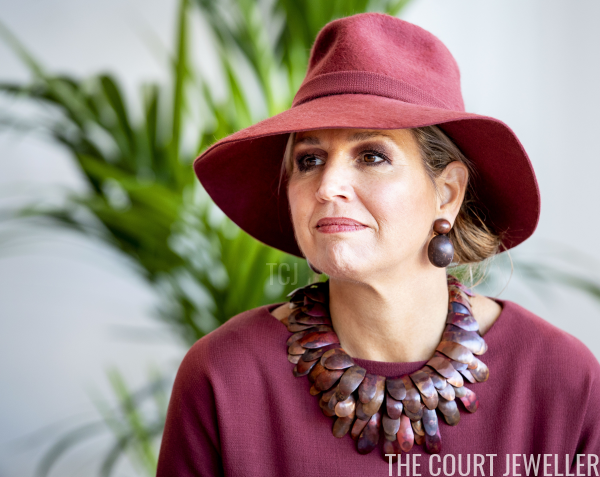 On Thursday, Maxima wore a major necklace and matching earrings for a working visit to SchuldHulpMaatje Parkstad in Kerkrade. 13. 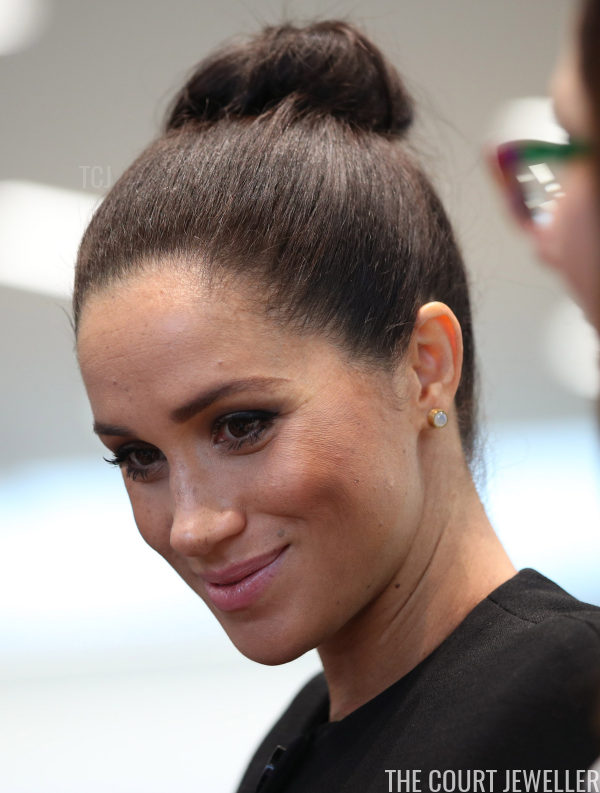 Crown Princess Mary wore sparkling stud earrings and a decorative hair slide for the IHF Men's World Championship 2019 handball final match between Norway and Denmark in Herning on Sunday. 12. 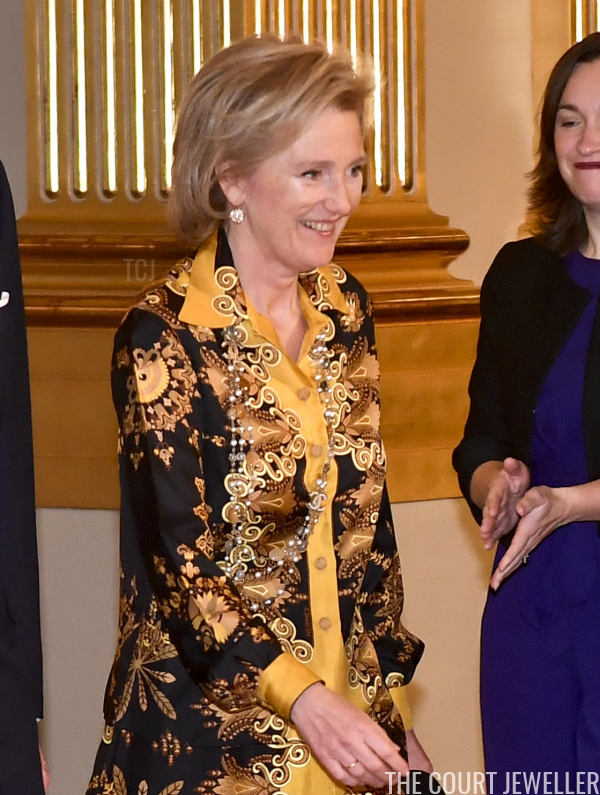 On Tuesday, Princess Astrid of Belgium wore glittering earrings and her Chanel sautoir necklace for a New Year's reception organized by the Royal Family for the Belgian Authorities in Brussels. 11. 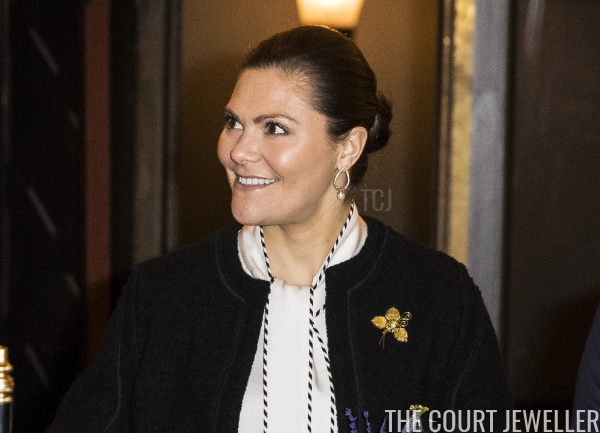 Crown Princess Victoria of Sweden chose gold and pearl drop earrings from Marianne Dulong and a golden brooch for a memorial for victims of the Holocaust at Stockholm's Great Synagogue on Sunday. 8. 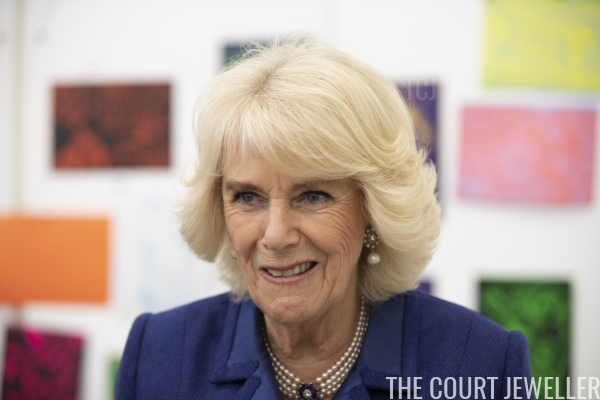 The Duchess of Cornwall wore her favorite pearl drop earrings and her pearl choker with the amethyst clasp to tour the new Clore Learning Centre at the Royal Academy of Arts in London on Thursday. 6. 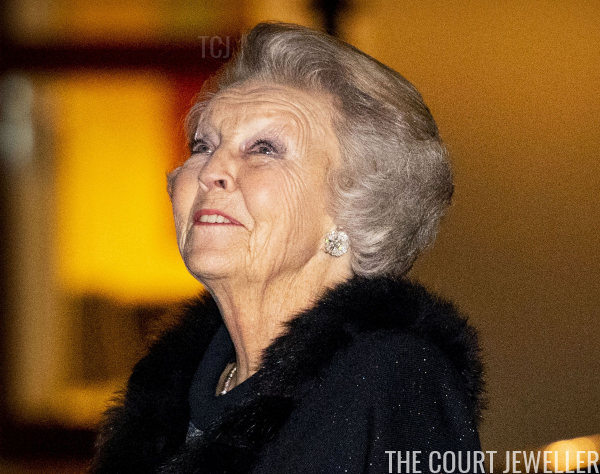 On Wednesday, Princess Beatrix of the Netherlands wore floral earrings and coordinating brooches to view the "Rembrandt and the Golden Age" exhibition at the Mauritshuis Museum in The Hague. 5. 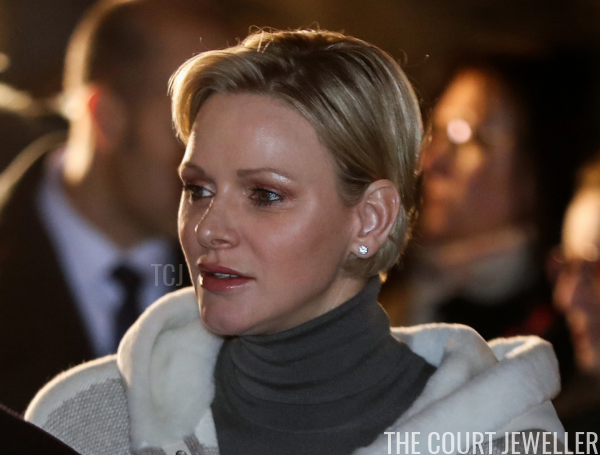 For the New Year's reception at the Royal Palace in Brussels on Tuesday, Mathilde wore elegant pearl drop earrings. 4. 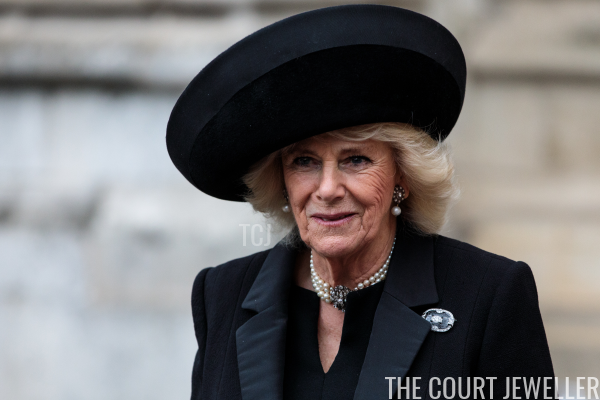 Camilla paired pearls with the Queen Mother's Rock Crystal Brooch on Thursday for a memorial service for Lord Carrington at Westminster Abbey. 3. 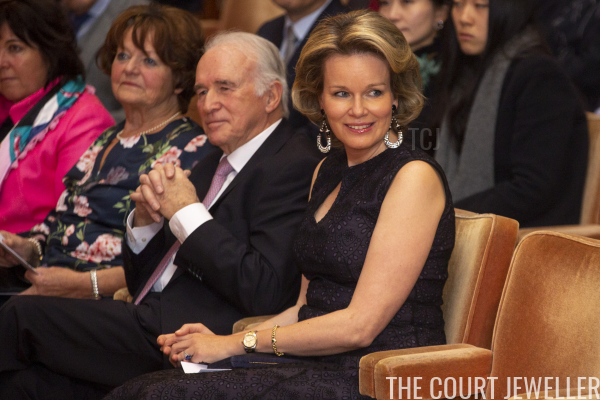 For Thursday's Service of Thanksgiving for Lord Carrington, Princess Alexandra, the Hon. 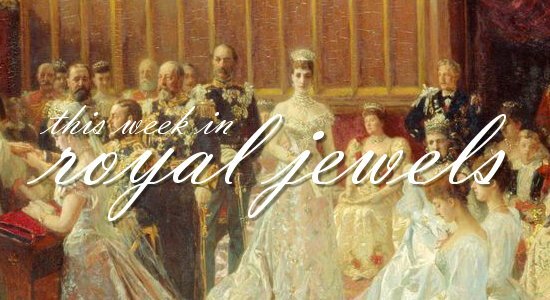 Lady Ogilvy wore her favorite pearl choker necklace with an intriguing geometric brooch. 2. 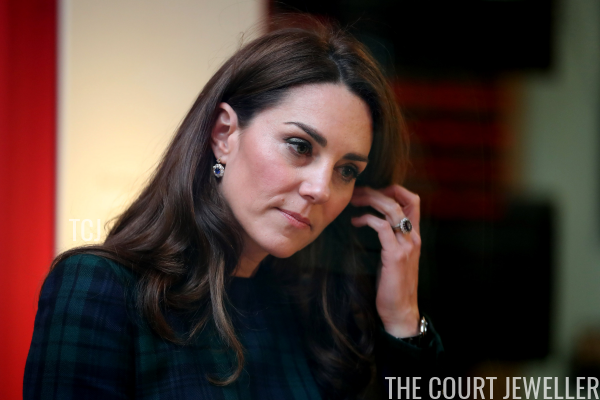 Queen Elizabeth II of the United Kingdom wore a diamond and turquoise brooch from the collection of her grandmother, Queen Mary, for church services near Sandringham on Sunday. 1. Unusually, my top vote of the week goes to a husband-and-wife team! 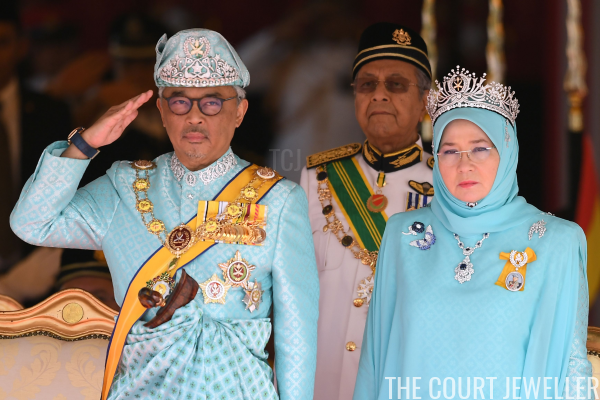 The newly-elected King and Queen of Malaysia were inaugurated this week at Parliament House in Kuala Lumpur, and both wore major sparkling jewels, including an ornate headdress for him and a tiara for her.